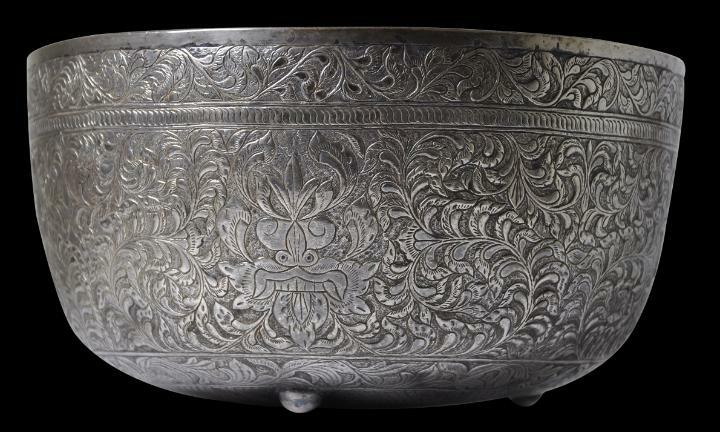 This unusual bowl is of Malay form and is finely and densely chased with scrolling foliage in an Islamic-Malay style, but interspersed among the foliage are two Thai thepanom figures (thepanoms are celestial beings from Thai-Buddhist cosmology), and two stylised kurtimukha masks, which have Indian antecedents. 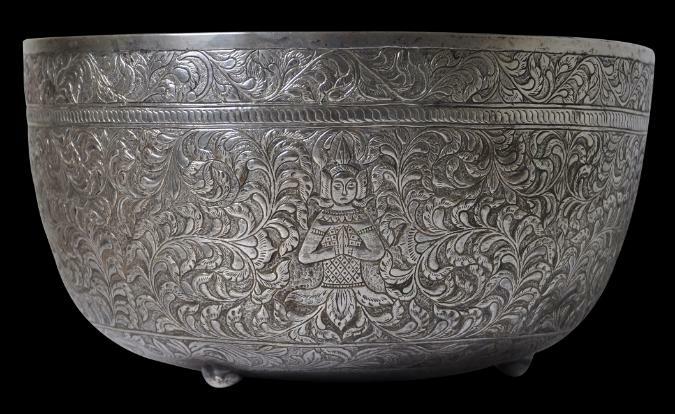 This mixed iconography suggests the bowl is from southern Thailand, where Thai Buddhists and Muslim Malays co-exist and where motifs and forms sometimes blur. 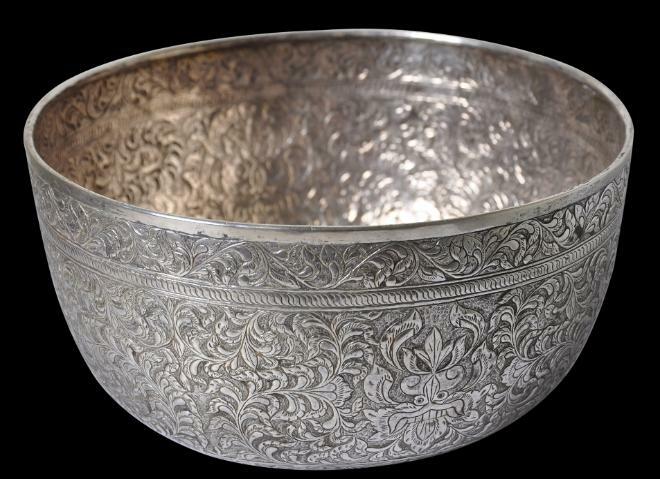 As such, this bowl represents as an unusual and interesting cross-cultural piece. 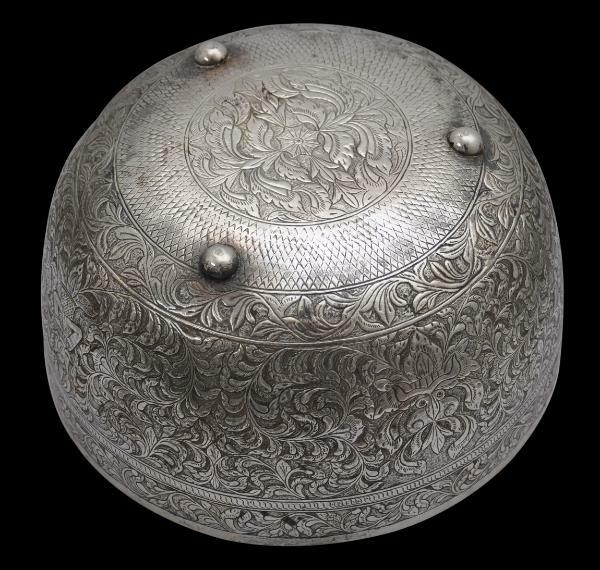 acquired in the UK, and most probably has been in the UK since colonial times.